All of our icing sheets are edible – they’re made from real icing and are printed using our latest technology- colour printer and edible inks. What’s more they are dairy, gluten and nut free so they’re a perfect addition to a cake for anyone who has food in in-tolerances. Wedding photos on anniversary cakes. Baby photo’s on 18th and 21st birthday cakes. Corporate logos on cakes at work events. 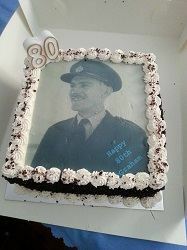 Photo of mum or dad for Fathers or Mothers Day cakes. Couples shot for Valentines Day cakes. Smiley faces on Get Well Soon cakes. You get the picture – the list is endless and you are only limited by your imagination as our amazing edible ink printer can print absolutely anything.